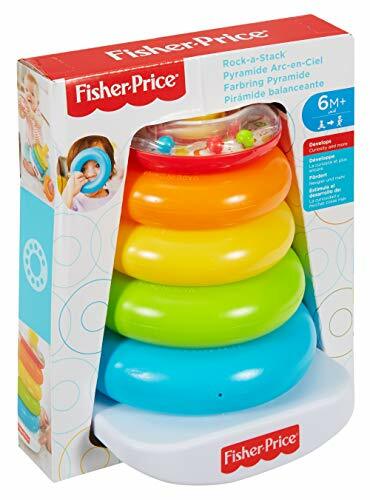 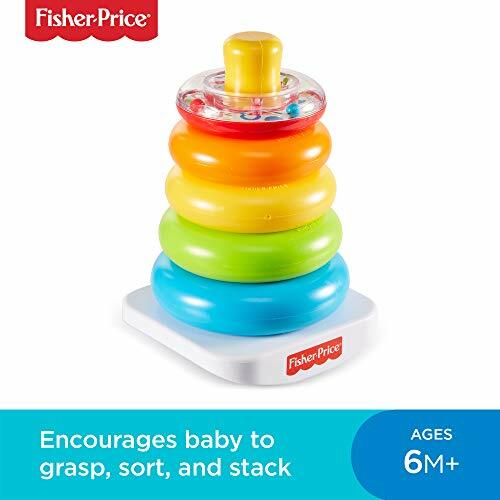 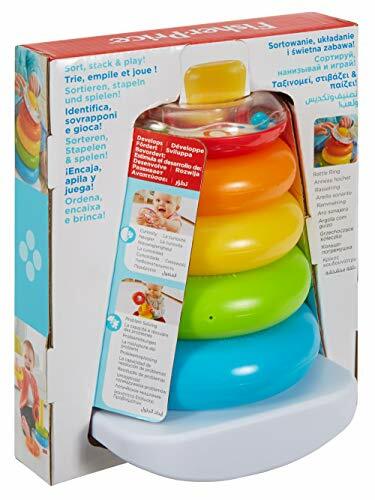 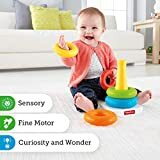 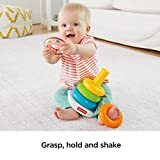 The Fisher-Price Rock-a-Stack toy is classic, colourful fun for your little one. 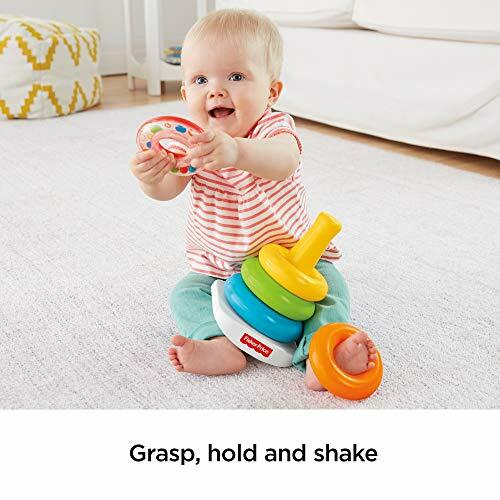 Younger babies will love grasping, holding, shaking and exploring the five colourful rings. 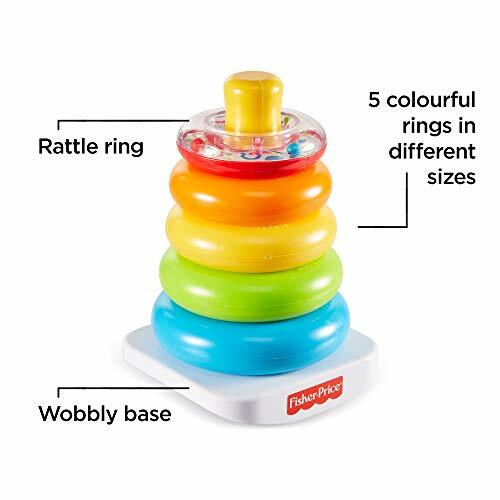 The littlest ring has a shiny, reflective surface for baby to discover inside-with colourful, swirling beads that make fun rattle sounds. When they're ready to sit and stack, babies can place the rings on the post, then bat at the wobbly base to make it rock back and forth. 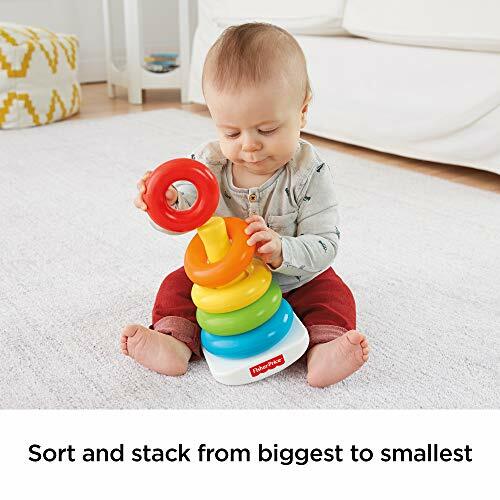 Stacking helps them develop hand-eye coordination and introduces them to the concept of relative size as they learn to sort and stack from biggest to smallest.